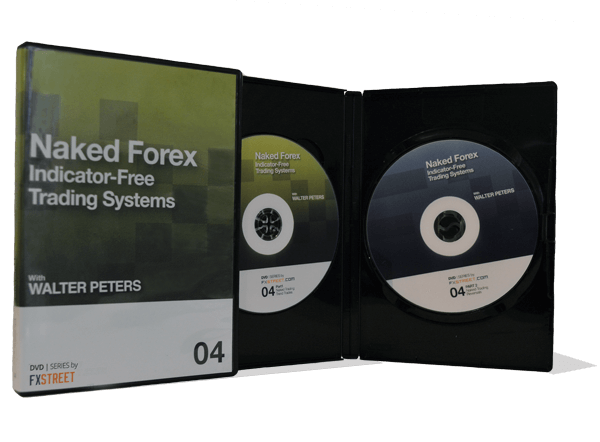 In 2011, he released a DVD with FXStreet called “Naked Forex: Indicator-Free Trading Systems by Walter Peters”. Naked Forex trading – trading without indicators – is an often misunderstood trading strategy because it goes against the natural inclination that most traders have. During these sessions we will look at the tools that the Naked Trader uses and you’ll learn how the naked trader can decide on market direction without any technical indicators on the chart. You’ll also be shown you how you can get proficient at naked trading, and why naked trading will accelerate your development of “trader intuition.” We will analyze and forecast the market using this approach. Once you go naked, you may never go back. This 2-DVD set is ideal for the trader who is tired of switching indicators and trading systems.